» Is LG Display pulling out of the OLED lighting market? We recently visited Seoul and saw several beautiful OLED lighting installations that LGD deployed around the city. On a personal note I truly enjoy OLED lighting (including my Acuity Brands Chalina lamp that uses LGD panels) so this is quite sad news. In December 2017 LGD announced that it started to mass produce OLEDs at its 5-Gen OLED fab in Gumi, Korea - with an initial capacity of 15,000 monthly substrates (30 times the capacity of LGD's previous 2-Gen line). LGD hoped that the new line will enable it to cut its production costs by around 95%, but apparently that was too optimistic. LG Display lighting brand was called Luflex, and LG already pulled down its Luflex OLED lighting web site (lgoledlight.com). LGD was also supplying OLEDs for the automotive market (for example to the Mercedes 2018 S-class Coupe and Convertible) and we do now know yet wither LGD will continue to supply OLEDs to this market (it is likely it will continue to support its existing customers at the very least). LG Display has now joined the ranks of many other companies that decided to quit the OLED lighting market - including OSRAM, Philips, GE, NEC, Panasonic and more. This move could make it difficult for the remaining players (OLEDWorks, First-o-lite and others) to sustain their own business, but we do hope that this will not be the end of this market and it could actually make it easier to the existing companies to success in current OLED lighting niches. We could not get any official comment from LG Display. I definitely want a few more before they go extinct! That's really too bad! 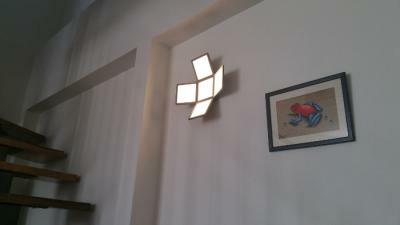 But with OLEDWorks there is still a big alternative for OLED projects on the market.